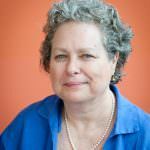 Nancy Barba brings over 30 years of experience to Barba + Wheelock Architecture, Preservation + Design. She has led projects of all types and sizes for schools and colleges, municipalities, historical societies, churches, and private residences. Many of these projects involve her strength in sustainable design and historic preservation as well as her commitment to projects that affect social change. In addition to her extensive background in architecture, Nancy is a specialist in preservation planning and contextual design. She is active in the preservation and architecture communities, contributing her time and skills to non-profit organizations. Her working manner is infused with consensus-building, attention to detail, and a passionate involvement from beginning to end. Her lecturing, advocacy, and board service gives her an innate understanding of the goals and aspirations of her clients.